Karvy has been playing a pivotal role as a financial services intermediary since its inception in 1982. The company’s dedication and dynamism in servicing the needs of individuals, corporates, government bodies and various segments of the financial services industry, has inspired trust from all quarters. 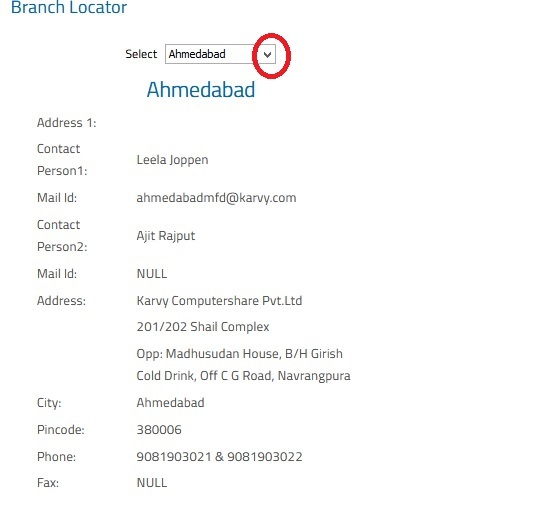 It is this trust and confidence that has enabled Karvy to create India’s largest registrar and transfer agent – Karvy Computershare Private Limited (KCPL). I don’t know who you are (or) why this company writing to me as I have never used them. How did they get my e-mail account (or) contact details I don’t know. If this is fraudulent then I will be reporting it to the authorities. I have nothing to do with them and never even heard of them until I got an e-mail this morning about a so called investment I am meant to have done. i want to correct my name on share certificates.